Each site has different feature articles. 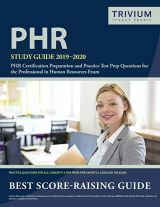 HRM Guide is edited by Alan Price. His recent publications include Human Resource Management, 4th edition (June 2011) Cengage/South Western, Fundamentals of Human Resource Management (June 2011) and Strategic Human Resource Development (2005) (Swart, et al), Butterworth-Heinemann. You can connect with him on Linkedin. Alan Price, HRM Guide Network, Hinsobrae, Papa Westray, Orkney, Scotland, UK. KW17 2BU. HRM Guide is a great resource for students - but all the information we have is published on the various websites. We are not holding back a secret supply of information! Also, it is a matter of policy that we will not tell you how to answer homework questions. 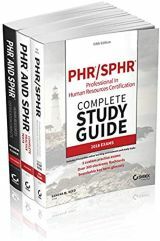 Most HR material of use to students is to be found in the Student HRM section. This has 13 sub-sections (soon to be 24 sub-sections) , each with a list of contents. If you are uncertain where to find the subject you are looking for use the Search all of HRMGuide box. You will find this on several of the main pages - including this one. Wherever possible we will help on general enquiries that are not answered on the websites. HRM Guide does not pass e-mail or other address information on to any third party without your specific permission. Please note that we provide general HR sites with international coverage and therefore we are not able to comment, or provide legal advice, about contractual and other issues that are subject to different legal jurisdictions. Advertising may be accepted on all HRM Guide website pages except those provided by content partners. Please contact us with your requirements. HRM Guide welcomes suggestions for reciprocal links with good quality, content-rich sites (links that are not reciprocated will be deleted). We do not enter into 3-way links arrangements. One-way links carry an administration charge and are treated as advertisements. You may link freely to any specific article on our websites (deep-linking). However, we would appreciate you NOT framing articles since this invalidates some of the advertisements we carry. Guest articles are hosted on a no-fee basis on either side. The author retains copyright. We welcome original articles (minimum of 500 words) on any HR topic. They will be posted on the appropriate HRM Guide site. Press releases are published on HR-Topics.com. We are interested in developing long-term relationships with other service-providers in HR and job-related areas. Exploratory e-mails are welcome. The material in HRM Guide is copyright protected in all countries under international convention. 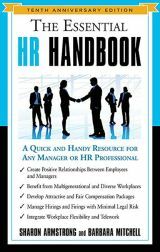 Articles (including excerpts) may not be copied, translated, reproduced, reformatted or republished, physically or electronically, for use in any published media, including books, magazines, websites and newsletters - whether or not for profit - without the specific permission of HRM Guide. Permission will normally be readily granted for use in academic texts, practitioner publications and newsletters. Where an author's name is provided it will be necessary to obtain additional permission from that individual.